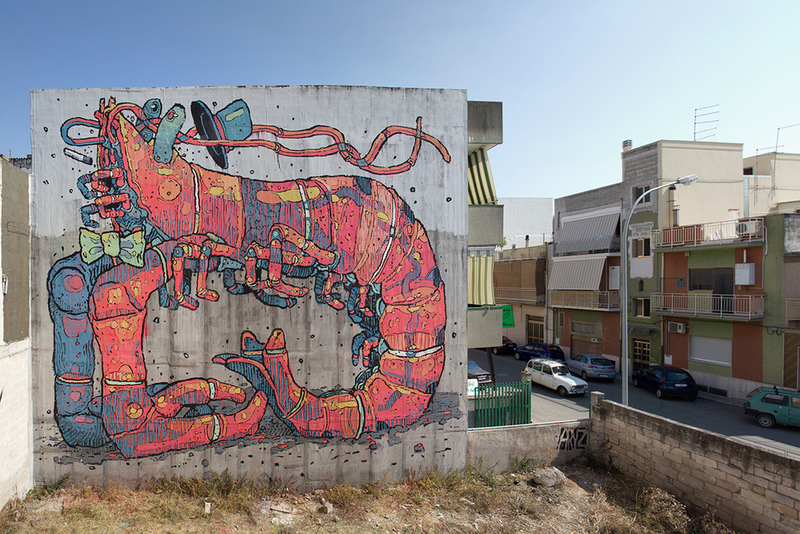 Lately there has been much buzz about a Spanish street artist by the name of Aryz. This young artist is slowly but surely becoming a household name. Aryz creates stunning, intricately detailed works using spray paint and paint rollers, and that’s not all—Aryz is also an illustrator. Aryz was born in Barcelona, Spain, but very little is actually known about his history as a street artist. The painter, who has drawn sporadically since childhood, began his career on a summer day with some friends. 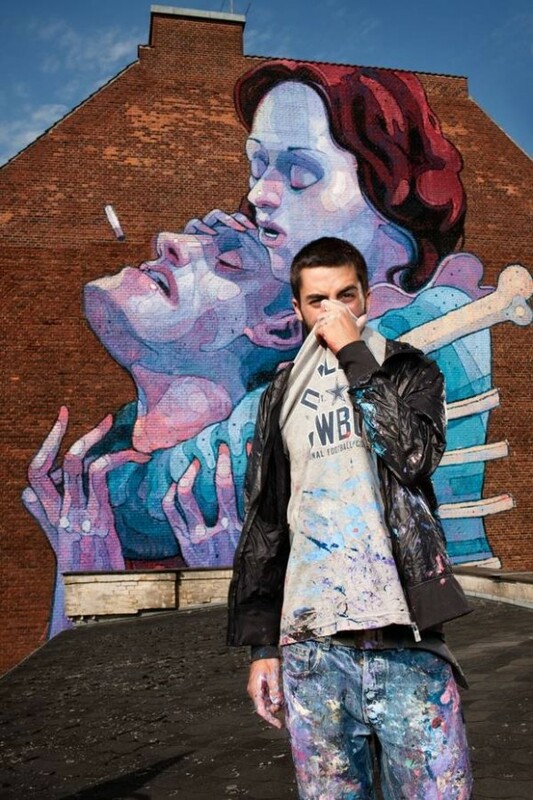 Aryz prefers to paint simply for the sake of painting; his passions for art and funare his motivation. In fact, he is unsure of what to call his art. People often define it as graffiti, while others consider it street art. Regardless of its definition, Aryz enjoys using classic street art tools such as brushes, spray paint, rollers, and more. He enjoys painting in abandoned factories because people avoid bothering him there. These factories often offer a perfect location due to their huge walls and varied surfaces. Aryz attributes his skill as a painter to aerosols because that was the method that he used primarily to practice. 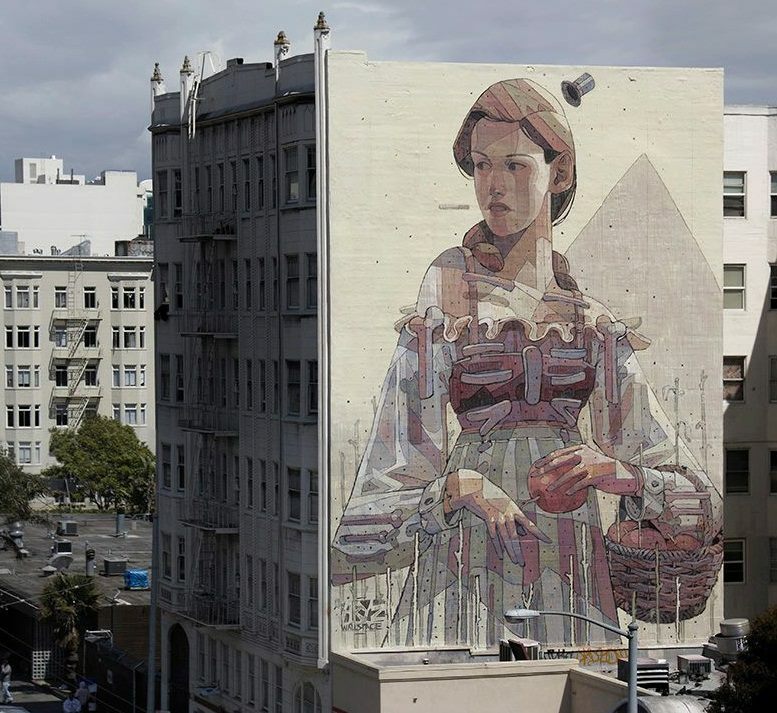 Aryz prefers to create large character murals- and by this he really means LARGE! This quickly earns him a spot with some of the best muralists. He states that placing a shape on a wall is a simple excuse to put colors in one place or another. Aryz also prefers to avoid focusing on a specific message. Aryz’s beautiful street art often includes gigantic creatures, arranged through strange, emotional mixtures expressing both rawness and tenderness. His art may also represent a paint palette of vibrant, cool colors which create fantastic atmospheres resembling those of science fiction. 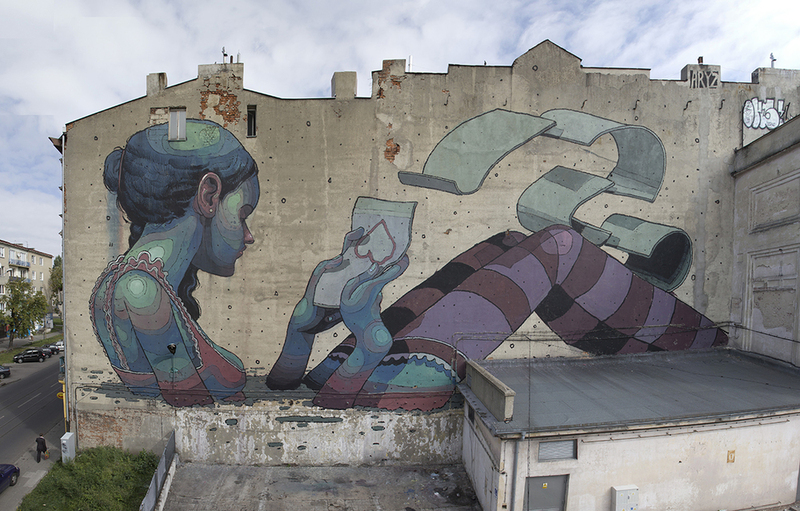 Aryz’s style is so unique that it often combines extreme colors and characters in a perfect manner. However, his work is not limited to full-scale, building size murals since Aryz is constantly working on studio work and screen-printing as well. His work as an illustrator includes a high attention to detail and spectacular compositions. 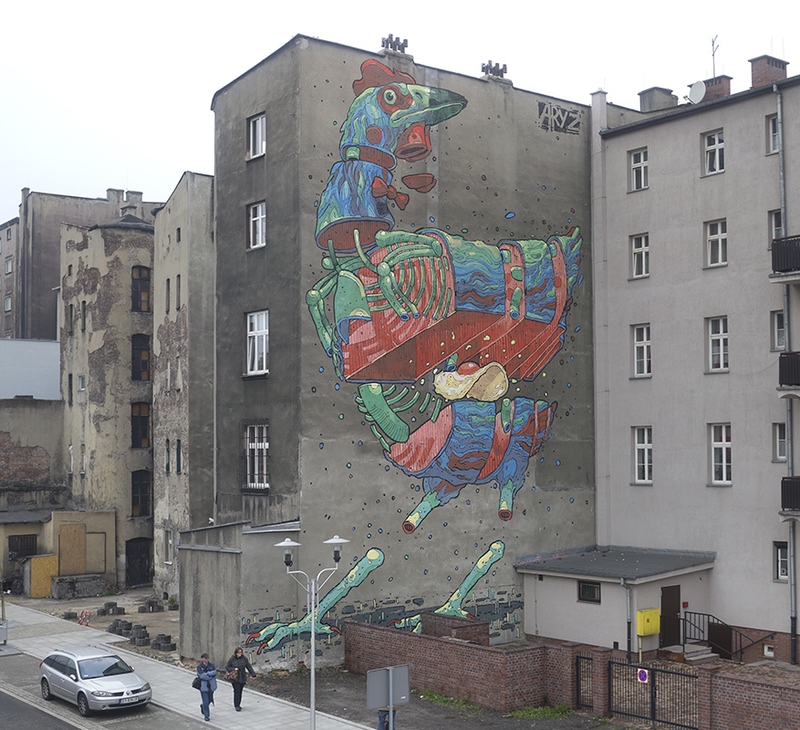 Aryz finds inspiration in everything that surrounds him, whether it is good or bad. Recently, Aryz took to painting murals on boat masts and homes in Madagascar’s small fishing villages, creating beautiful and unique pieces of art for the local fishing community. 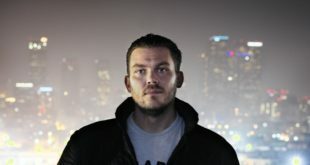 Aryz is a very influential character throughout the globe. His presence has helped break various barriers and has earned him a spot with the very best. He has painted through various parts of Europe including Spain, Poland, Italy, and other locations across the globe. Aryz is a talented street artist who works with mixed media and painting styles to achieve incredible works of art for the public eye. His final painting of 2013 is located in Fort Kochi, India.